I was recently talking to a computer programmer friend and commiserating about the difficulty of focusing. As an editor who often spends hours and hours in front of a computer screen staring at words, I wanted to be able to focus better and for longer. As a computer programmer, my friend shared the same issue. When working on a project, whether it’s writing code or editing a book on engineering, distractions arise, specifically internal ones. Internal distractions can take many forms, like wandering thoughts, but we both agreed that the pull of the Internet (checking email, Facebook, etc.) was a big one. Then my friend introduced me to the Pomodoro Technique, which I admit at first sounded kind of hokey. But it is a popular technique among computer programmers, and now that I’ve started benefiting from it, I wonder if many other editors and writers use it as well. Before describing the technique, I want to note that the discovery of the Pomodoro Technique came about around the same time that I reinstituted a practice of keeping Shabbat. For those unfamiliar with the concept, Shabbat is the day of rest in Judaism, based on the idea that God created the world in six days and rested on the seventh day. Shabbat starts Friday evening and ends Saturday evening. Traditionally, there’s a whole long list of categories of work that are forbidden on Shabbat. But some people choose to acknowledge the day in a modified way. My husband does a lot of computational work as part of his research for his PhD, and he was finding himself burnt out. He knew that I used to keep Shabbat years ago, and suggested we try to do so together (he’s also an atheist, and isn’t Jewish, which I think is a great example of the appeal of Shabbat for many of us in the modern world, regardless of belief system). We agreed to do a modified form of Shabbat, a “no-screens” Shabbat, in which we simply refrain from using phones (particularly Smart phones), computers, and TV. In just a few weeks we’ve already gotten into the rhythm of the practice and are enjoying a much-needed day of relaxation once a week: eating a home cooked dinner, seeing friends, reading, playing board games, napping, taking walks. It’s really simple and really effective. I am already seeing the benefits of this technique after a few weeks of practice: my ability to focus is improving in a profound way. 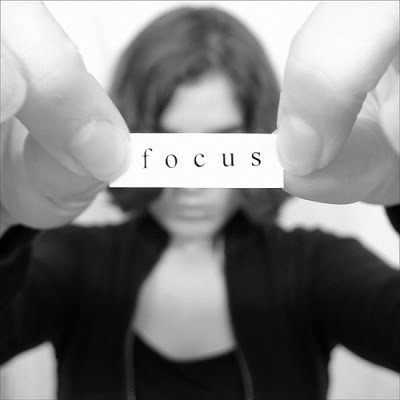 The brain really gets trained to the cycle of focus and rest. I spend my five minutes of rest simply absorbing the information I just worked on, or relaxing with a quick game or a gaze out the window or a stretch/walk for five minutes. When I come back to the task, and I’m “in the Pomodoro” (as practitioners call it), I really feel a difference in my level of focus. Before I began using this technique, I would take breaks at will, but sometimes after working for two hours straight or sometimes just ten minutes. The regularity of the twenty-five-minute set is much more sustainable. It’s a lot like the twenty-five hour period of Shabbat, but in microcosm. I have yet to try this practice for my writing (well, except for right now, as I’m writing this blog post “in a Pomodoro”!). But I imagine it could be an excellent technique, particularly for novelists, essay writers, and bloggers. I would love to hear from other editors or writers who use this technique or think they might benefit from it. Does it work for you, in practice or in theory? Why or why not? How do you train yourself to focus better? Please discuss in the comments. This entry was posted on Tuesday, March 26th, 2013 at 3:26 pm	and is filed under Uncategorized. You can follow any comments to this entry through the RSS 2.0 feed. You can leave a comment, or trackback from your own site.